At the beginning of the year I started a Bicycle Quarterly subscription and after a few pages knew I'd have to build something rannondeur-esque. 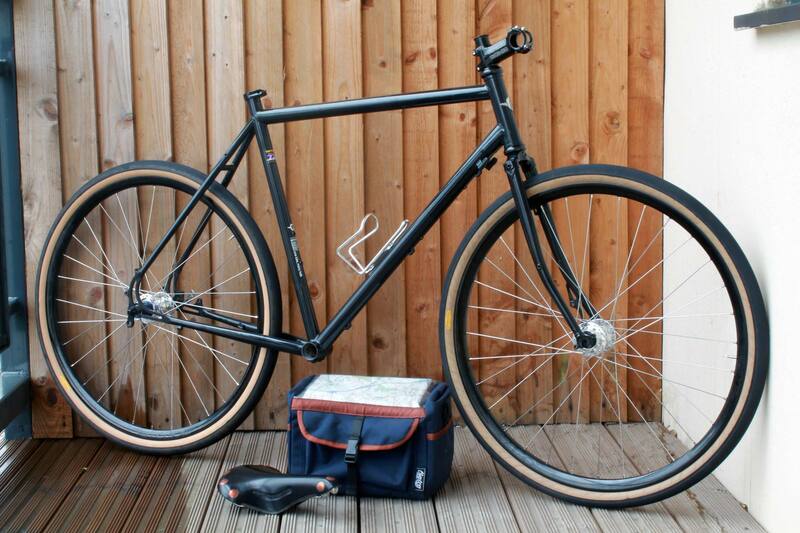 I'm selling two bikes that don't get ridden much and hoping to build this which will hopefully be ridden a lot more. This all means I've ended up with 3 steel bikes which is quite a nice thought. I opted for 650b as it allows chunky MTB tyres to be fitted, opening up another type of riding and of course enough clearance to accommodate guards with a slimmer road focused tread. I collected the wheels today from London Fields Cycles who were great, so thought I'd start a project thread. 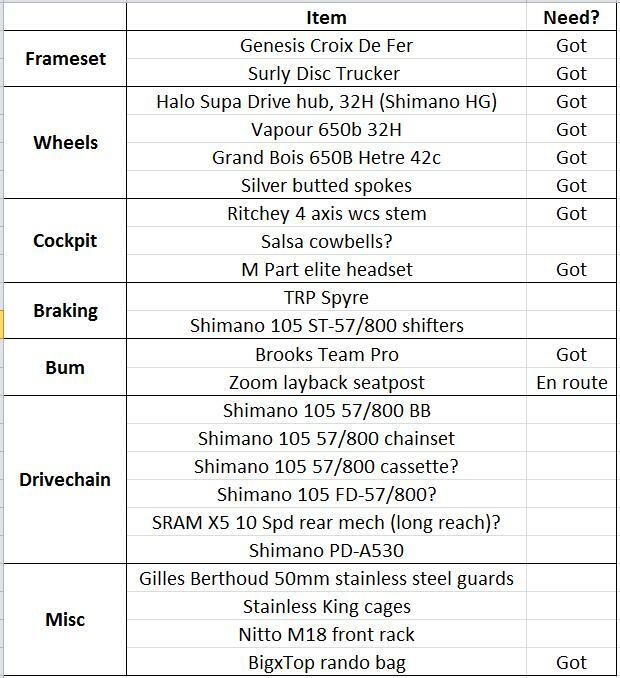 Now I just need to pick up a groupset but undecided between Shimano 105 5700 (10spd) or 5800 (11spd) and decide on 1 x 10/11 V's the more conventional double chainring route. Any suggestions or advice are more than welcome. 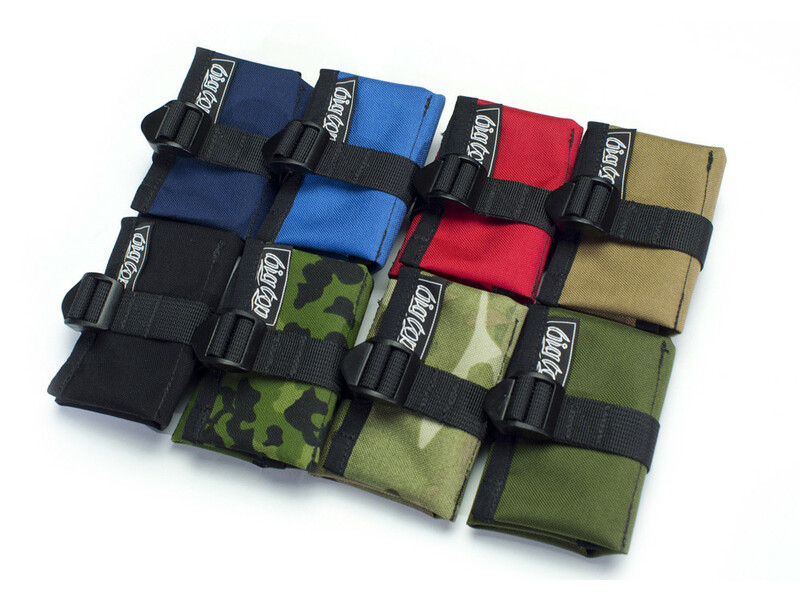 They are nicely flared short reach compact drop. 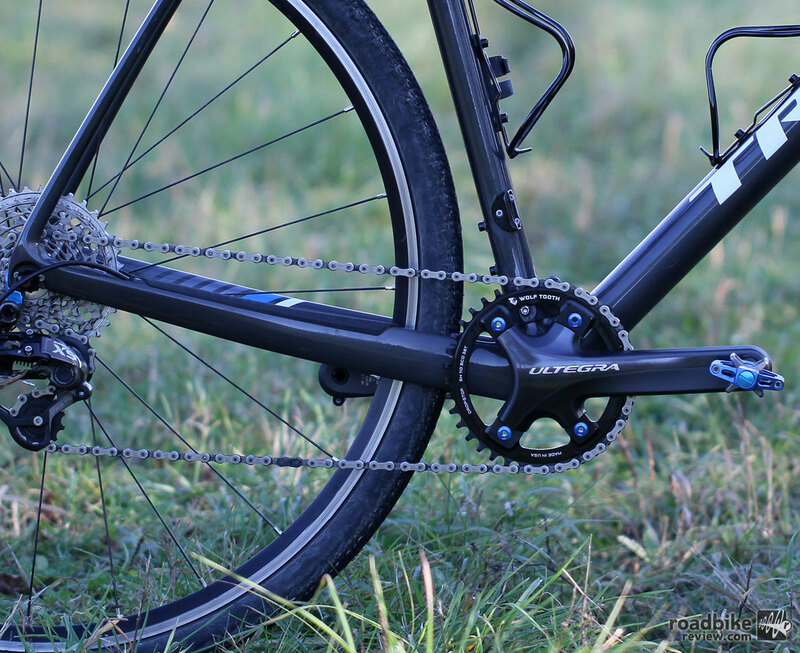 how are you planning to make sram MTB rear mech work with shimano 11 speed shifters? There might be a shiftmate but not sure. But that means you have to get spyre. And I might have some king Ti cages ..
@amey much appreciated for the suggestions, thought you might have some good ideas... Bar-wise they look great, although my stem is silver so would be nice if bars were silver too, just to be picky. With hydraulic levers/shifters I'm reluctant to jump onboard just yet, feel like it's still too new and worth waiting. Interesting price-wise but will be buying everything second hand which should help. Still undecided about about gearing apart from having a high range for hills/offroad etc. I'd thought mtb rear derailleurs are a better choice for large cassettes as opposed to long reach road ones and have no real preference for 10/11 other than 10 being cheaper and simpler. More reading required I think! 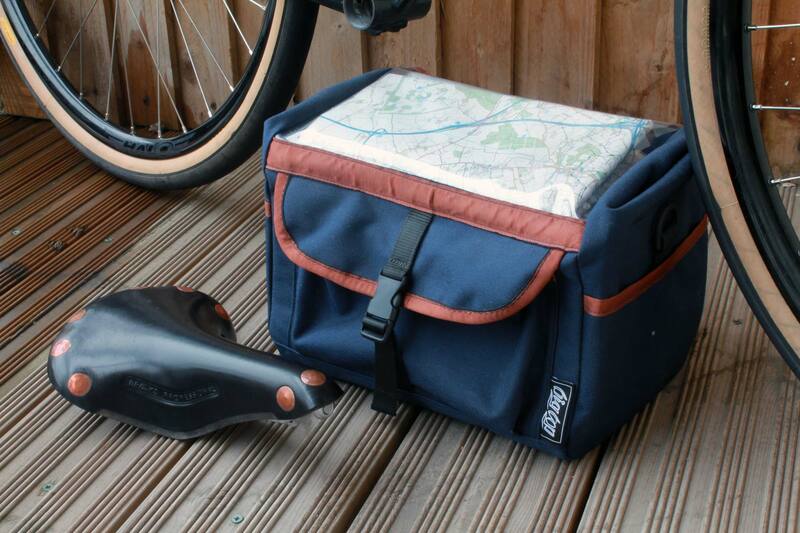 The rando bag was a custom job inspired by the Gilles Berthoud ones. I was going to ask Jordan if he could make a matching saddle roll using the same material so all matches exactly. Sorry if I've missed something. Very nice. Well yes - go for it. I was told when ordering the parts that the rear hub would take an 11sp Shimano road cassette. Now when trying to slide my 11sp 6800 cassette on, the freehub body is fractionally too small and the lockring won't engage. The Halo freehub body measures 34.3mm wide and 35mm long. I presume this means it's a 10sp road freehub body? Should look well built up. What guards you going for? @spotter thanks for giving me the idea of building up a Croix De Fer. 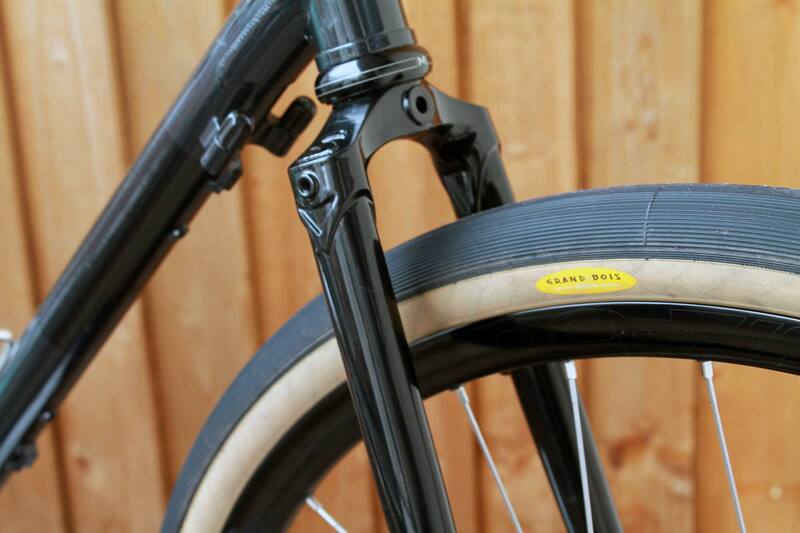 If it's useful to know, with 42c tyres it's 3cms clear of the seatstay bridge and 1cm spare either side to the stays. Interested to know what's the widest tyre I could fit without guards. P.s. hope Wales was fun. @willhouse 50mm stainless steel guards. Trying to work out the difference between Gilles Berthoud & Hanjo. I've got an earlier model than you so I don't know if that's still true. I'll have to see if I can borrow a rear 650b to check. Also I've not been yet, been layed up with a stomach bug. I'm going to go for one night tomorrow down the gower as the weather for the rest of the week is dreadful sadly. Oh well I'll be back at Christmas. @spotter I think mine is a 2014 frame if that helps and if you need to borrow a wheel just shout. Probably better than struggling in foul weather, so maybe a sensible decision. In other news Ritchey classic stem bought this morning (cheers @bikes_knob ) and Ritchey Eco Max bars ordered with a seatpost arriving soon. Thanks, I'll let you know when I'm back! pitching in as a user of 105 5700 with a partner using Tiagra 4700 - if you decide to go 10 speed give 105 5700 a miss and go for Tiagra 4700 - it is much much nicer and I am jealous!